This UK made jewellers workbench is the ideal starting point for any jewellers who are making jewellery at home. 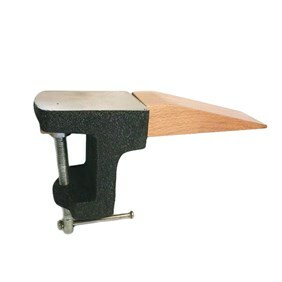 It has an 18mm thick worktop which you can clamp your anvil and bench pin to and includes a handy semi-circular tool holder which is ideal for storing extra tools in. 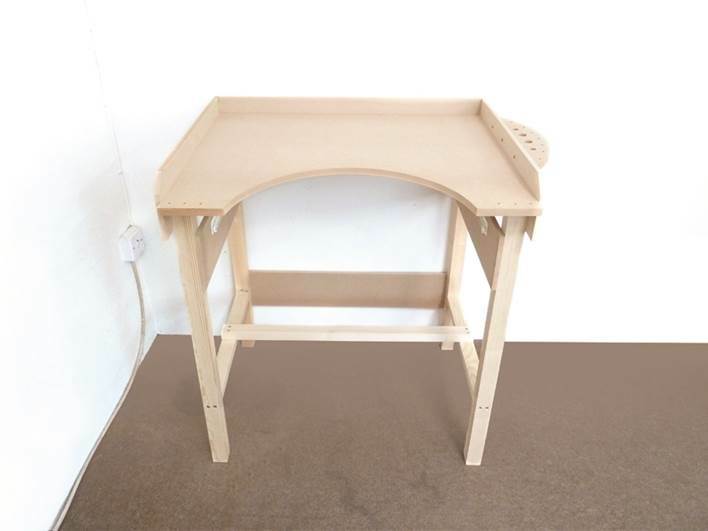 The bench is approximately 90cm tall, 66.5cm deep and the width is approximately 92cm (including the tool holder), with 4.5cm wide planed timber legs. 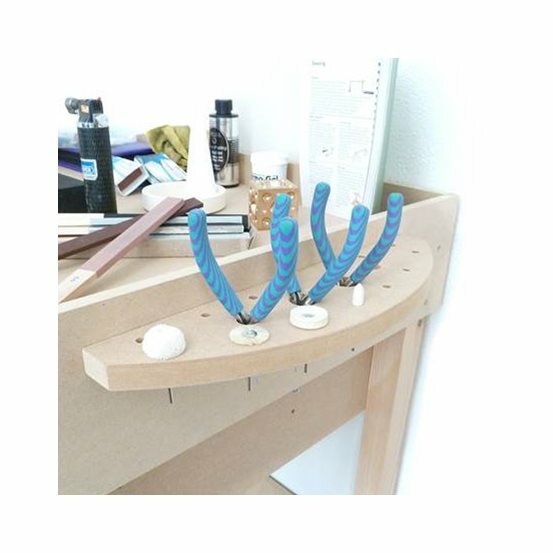 Jewellery benches are designed to be higher than table height to avoid you hunching over - the bench should be about chest height when you`re sat at it. 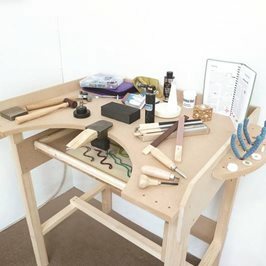 An office chair is an ideal seat to use at your jeweller's bench as it gives you more freedom over what height to sit at depending on the work you`re carrying out. 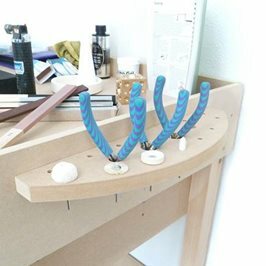 The bench also features metal runners for a drawer that you can opt to purchase at the time you purchase your bench saving you money. Select your preferred option in the drop-down menu. 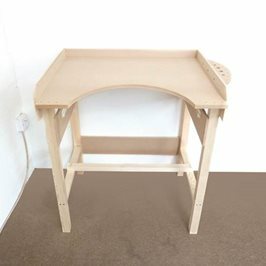 The bench will arrive part assembled with the worktop and side frames ready-made, with instructions for you to put the pieces together in about 15 minutes! 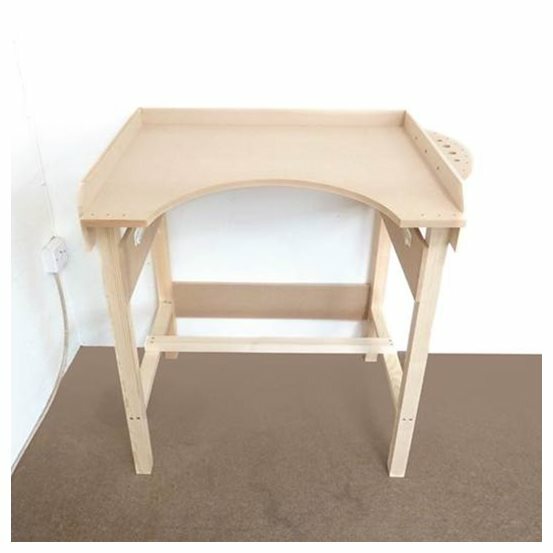 You can also paint, stain or varnish the bench if you wish (why not paint it to match your workshop or living room!). 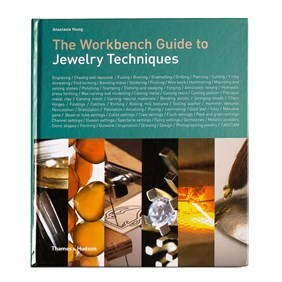 As these jeweller workbenches are made to order please allow up to 5 working days for dispatch (although they are usually ready sooner than this). 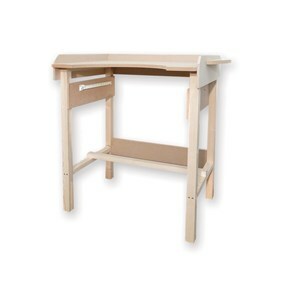 Your bench will then be sent by Parcelforce 24 hour delivery service. 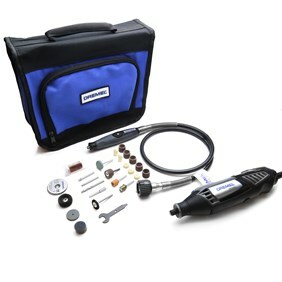 Delivery to overseas addresses may incur an extra charge so we will contact you after we receive your order to let you know of any additional costs; feel free to email us for a quote before you order if you prefer. Sent by Parcelforce 24 hour delivery service for UK delivery addresses.